Serve customers better through pro-active maintenance, predictive scheduling and first-time fix. 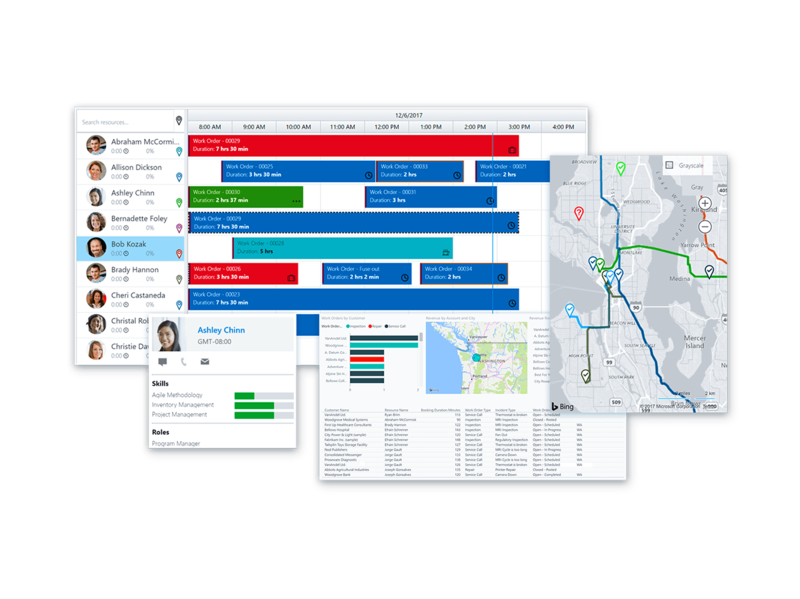 Deliver a seamless service experience with Dynamics 365 for Field Service with built-in intelligence to help resolve service issues before they occur, reduce operational costs and deliver positive experiences. Automate and improve scheduling to dispatch the correct technician and get the most value out of your resources. Empower your technicians with a 360-degree view of the customer and real-time guidance to improve resolution and earn customer trust. Enhance the service experience by proactively detecting, troubleshooting, and resolving issues to ensure a technician is only sent when necessary. Provide your customers with self-service portals, proactive updates, and call-out tracking to ensure a positive experience at every step. 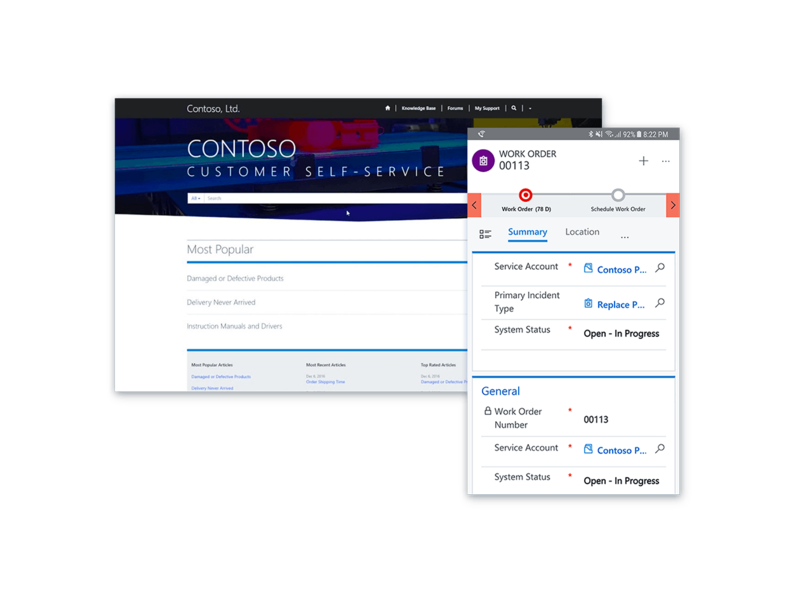 Drive innovation with an app that is easy to tailor, extend and connect to other applications and services that you use. Automatically schedule technicians with the right skills and best location fit to improve productivity. Manage resource assignments across multiple work orders using an interactive, drag and drop scheduling board. Synchronise and track stock, down to the truck level, with real-time visibility and intelligent forecasting to increase first-time fix rates. 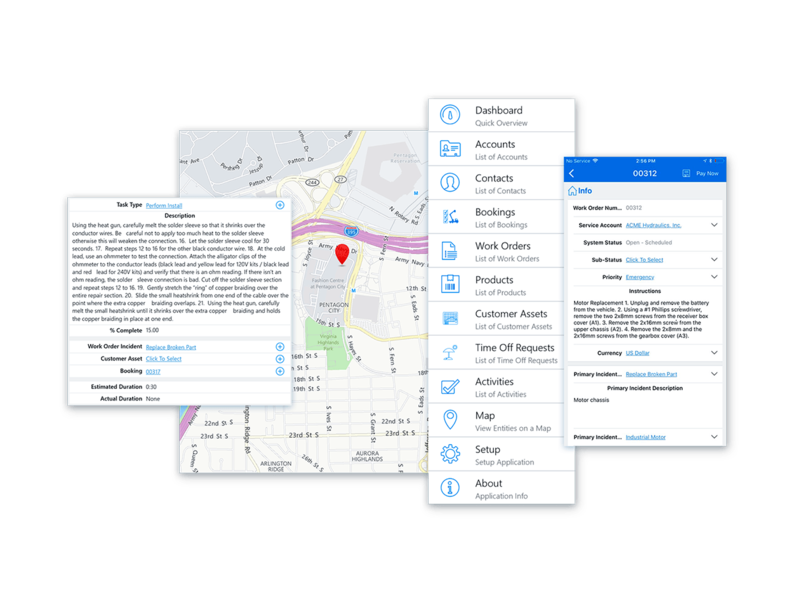 Keep technicians on time with the best route directions, and work details that can be updated in real-time on any device. Get a 360-degree view of customer preferences and history with step-by-step instructions to reliably track and complete the current task. Improve field processes through mobile access to the back office for technicians to effectively capture and update all work order details. Improve results with access to technologies such as mixed reality headsets to offer technicians hands-free guidance. 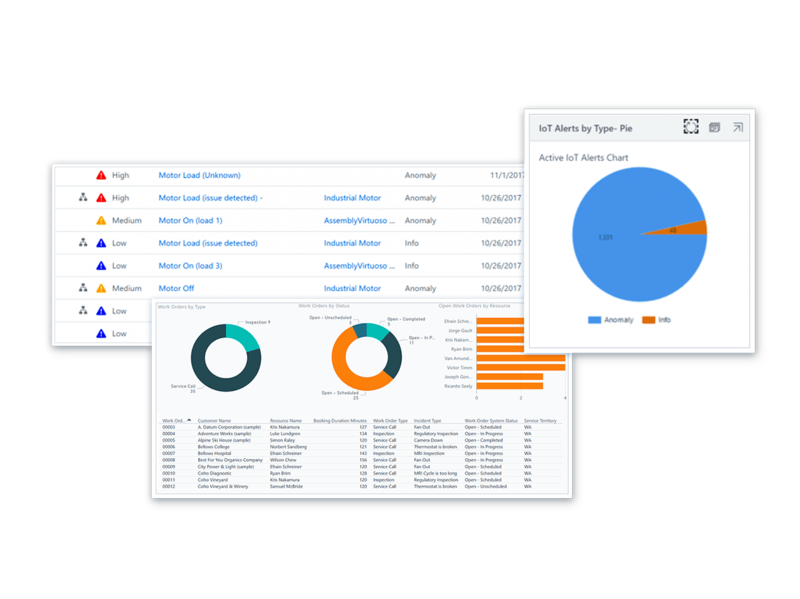 Use the power of IoT to detect and diagnose problems before the customers become aware. Automatically create work orders, and schedule technicians with the relevant knowledge on their devices. Move from costly scheduled maintenance plans to just in time predictive maintenance - repairing, cleaning or replacing parts only when required. Engage customers proactively to increase transparency and trust by seamlessly sharing quote, contact and scheduling information. Make it easy for customers to track service activities and self-schedule appointments with a customer portal. Provide customers with real-time technician location tracking and automated appointment reminders so they know when to expect arrival. Accelerate time to market and adapt the application to your needs with no-code visual tools and make it easy to create web and mobile apps. 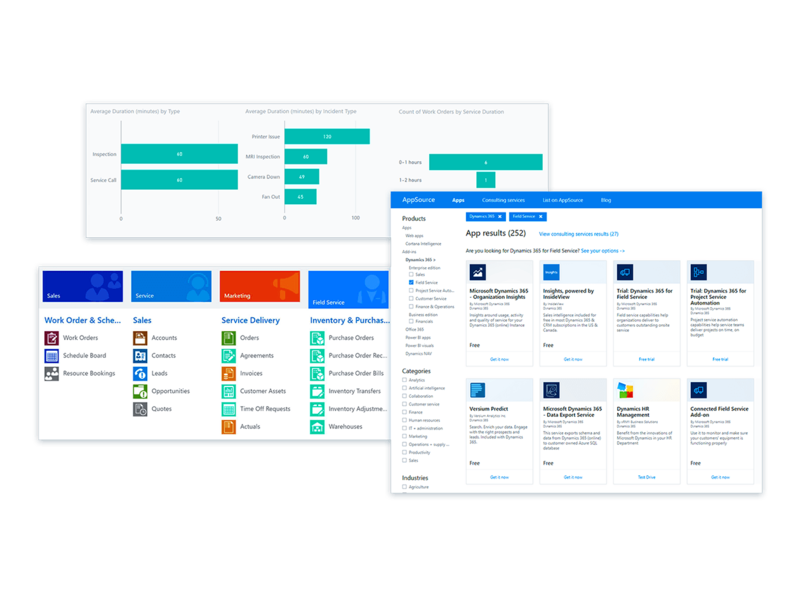 Automate processes with Dynamics 365 apps and third party systems for improved engagement experiences. Rely on the Microsoft cloud platform to reduce the cost and complexity of running a global infrastructure and trust Microsoft's data centres to safeguard your information. Use artificial intelligence to transform your customer interactions with deep insights that guide your teams to the right business outcomes. Contact us to discuss your Microsoft Dynamics 365 for Financial Service requirements or for further information.